Hiwa Osman is a non-Residential Associate Fellow at the Middle East Research Institute. 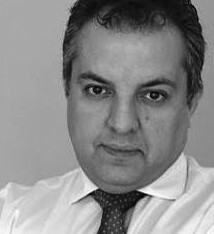 He is an award-winning journalist and the current CEO of, a leading media and communications agency in Iraq and Kurdistan Region. He is a former media advisor to Iraq’s President Jalal Talabani (2005 to 2008) and founder of the Iraqi presidency's press office. Hiwa held a number of senior editorial and media development positions in Iraq, and led editorial teams for several local newspapers, magazines, radio and TV programmes. In 2003 he worked for the BBC as a producer and reporter. He later helped setup the Iraq office for the International NGO, the Institute for War and Peace Reporting, and served as the lead trainer and later the country director. In May 2012, he received an award for "outstanding contribution to new media" by the International Council for Press and Broadcasting in London.